We are the first SAP partner in the country, that applies new technologies and SAP solutions as a result of the knowledge and experience we have and the importance we attach to R&D. We have completed the first SAP, S&OP (Sales and Operational Planning) and SAP SPP (Server Parts Planning) projects in Turkey. We have successfully deployed the first and the most extensive E-Kanban project in Turkey. With our certified consultants and success stories in various sectors, we are the most experienced SAP partner in the areas of planning, optimization and logistics. We are among the few SAP partners experience of which have been certified and approved by SAP in construction, chemicals, pharmaceutical, textile, automotive and consumer products sectors in Turkey and in EMEA region. We are the first SAP partner, experience of which was certified and registered by SAP in SAP SCM (Supply Chain Management) solutions. Would you like to take a glance at our company presentation? We are trying to be a pioneer in our projects and producing great results. We are making a difference in many locomotive sectors from automotive to textile with our experience acquired in these sectors over the years. As Improva, we attach great importance to improvement, innovation and betterment. We are making significant investments in the area of R&D every year. Improva is a company of firsts. With our strong consultancy personnel, we easily achieve success in the hardest of all projects. We are the company that conducted the first SAP SCM project in Turkey. We are the company that conducted the first and the most extensive SAP E-Kanban project in Turkey. We are the first and only company with IS-Automotive, IPPE, model mix planning project experience. We are the company that achieved the most successful projects in production. 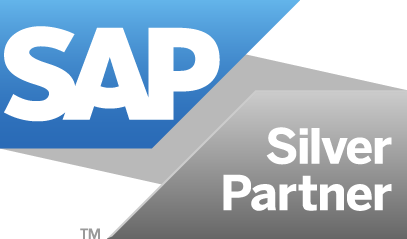 We are the first company in Turkey that applied an SAP S&OP solution which had been deployed in 5 clients in the world. We are the company that conducted the first SPP project in Turkey. We are the first company that conducted an SAP SCM application in pharmaceutical sector. We are the first and only company that applied all modules of SAP SCM APO end to end. Wouldn’t you like to experience the first in your company?